Nelson the Seagull – At this quirky Gastown joint, it’s all about the bread! And these carbs are worth consuming! They make fresh sourdough daily and it’s seriously unbelievable. Crunchy on the outside and chewy on the inside. You will want to buy a loaf to take home with you. 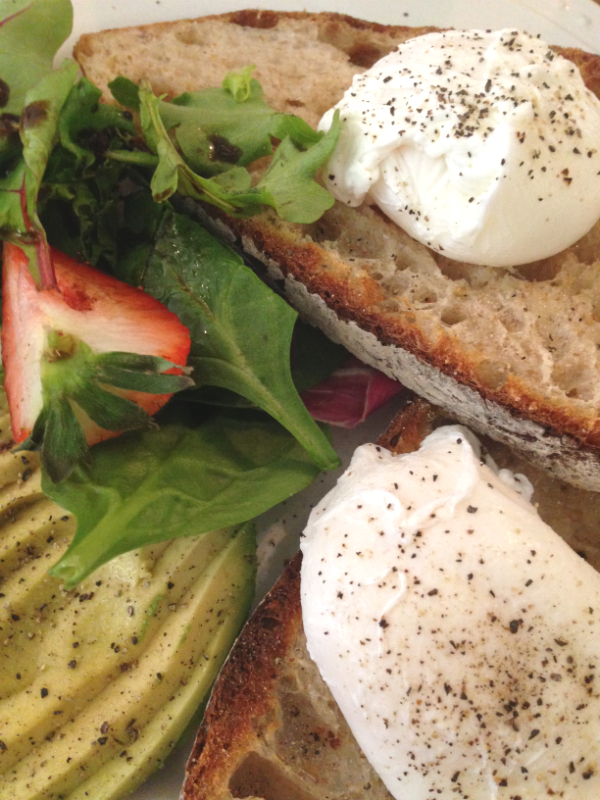 You MUST order the avocado and toast (yes, it’s the sourdough) with poached eggs. 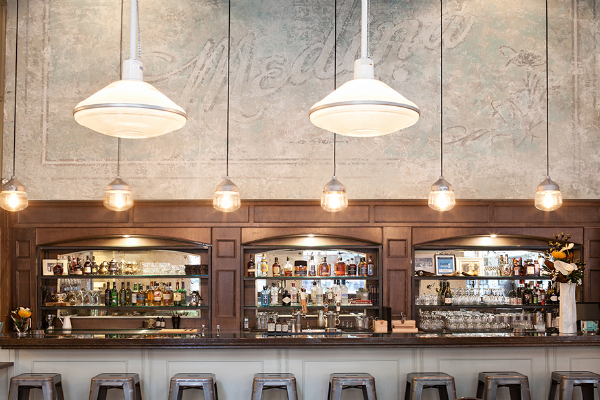 The decor will remind you of your grandparents’ house or maybe your church’s basement circa 1970….step back in time. Cafe Medina – This is probably the most popular place in Vancouver for brunch. They have just recently moved to a larger location on Richards Street (between Robson and Georgia). Be prepared for long line ups at this hip restie..no, they don’t take resos, but it’s worth the wait. They are famous for their lavender lattes…you can order them with almond milk as well. My fave dishes are the fricassee (eggs with braised short rib…I tried to replicate the recipe here), les boulettes (lamb meatballs that are made in house…so good!) and the granola and yoghurt. 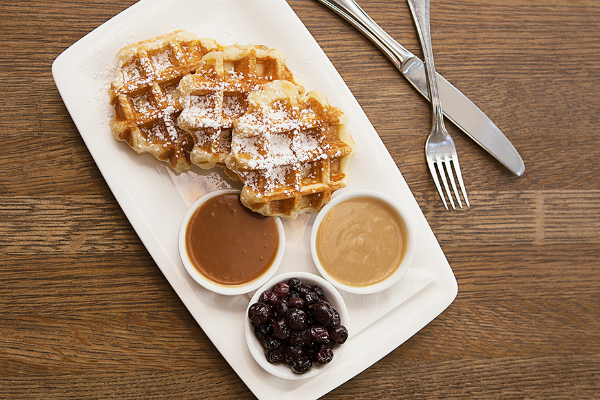 And make sure to leave room for a waffle…or two…they are the perfect size to start off with a sweet treat or to end you brunch with dessert! My favorite toppings are salted caramel and milk chocolate lavender! Twisted Fork – this off beat restie on Granville cooks up casual, rustic French food. Be prepared for a line up here as well on weekends…weekdays are a good option to get in quickly. Their banana bread and asiago scones are amazing. Their house made jams are different each time you go in. I’ve had mango basil and strawberry banana. Both amazing! The pork and leek sausage with poached eggs is one of Jason’s fave and it’s served with their sourdough toast and famous jam. I always drink way to much coffee at the Twisted Fork as the French press coffee is bottomless. 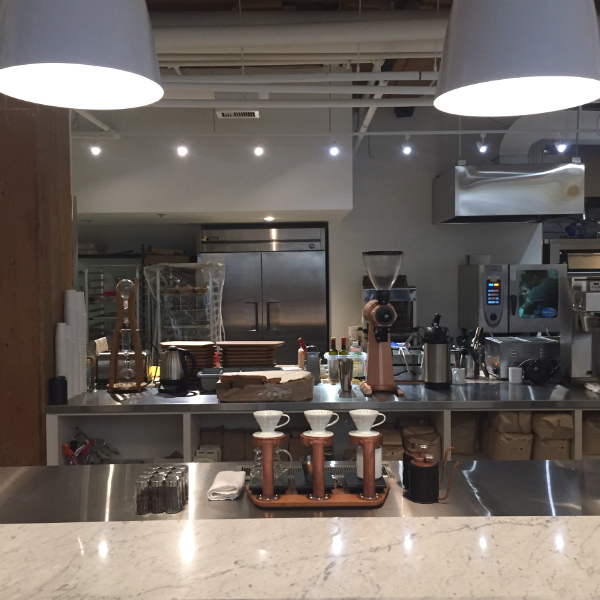 Matchstick Coffee Roasters – I’ve had breakfast at their Georgia location, on the edge of Chinatown. 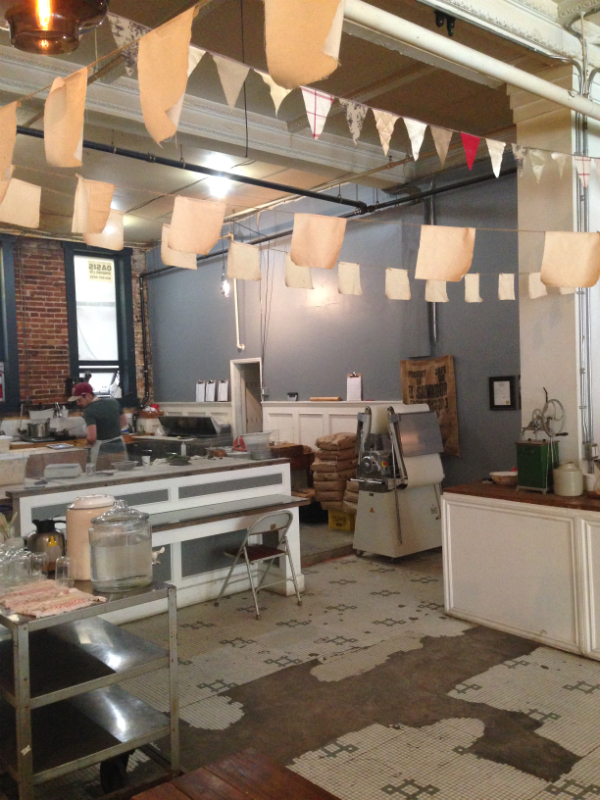 If you are serious about your coffee, this is the place for you. They are all about providing the highest quality cup of coffee possible. Their food menu focuses on local, seasonal and organic ingredients. 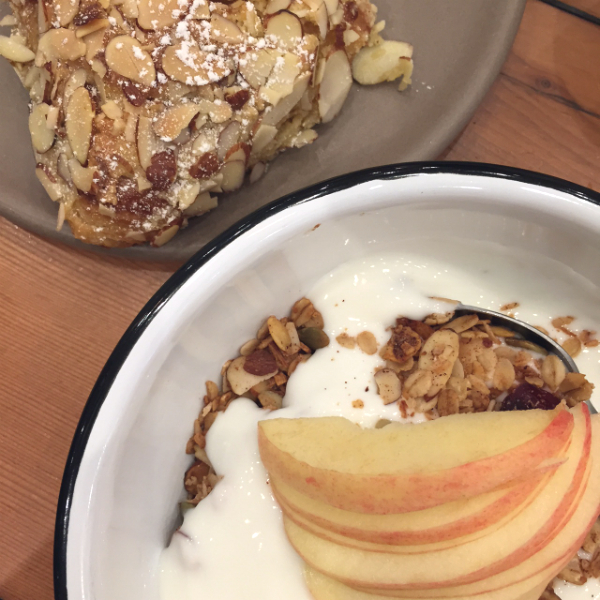 I love their simple yogurt and granola dish topped with fresh, thinly sliced apples. And their almond croissants are to die for. They have a breakfast hash available from 8:30-11am which is next on my list to try! 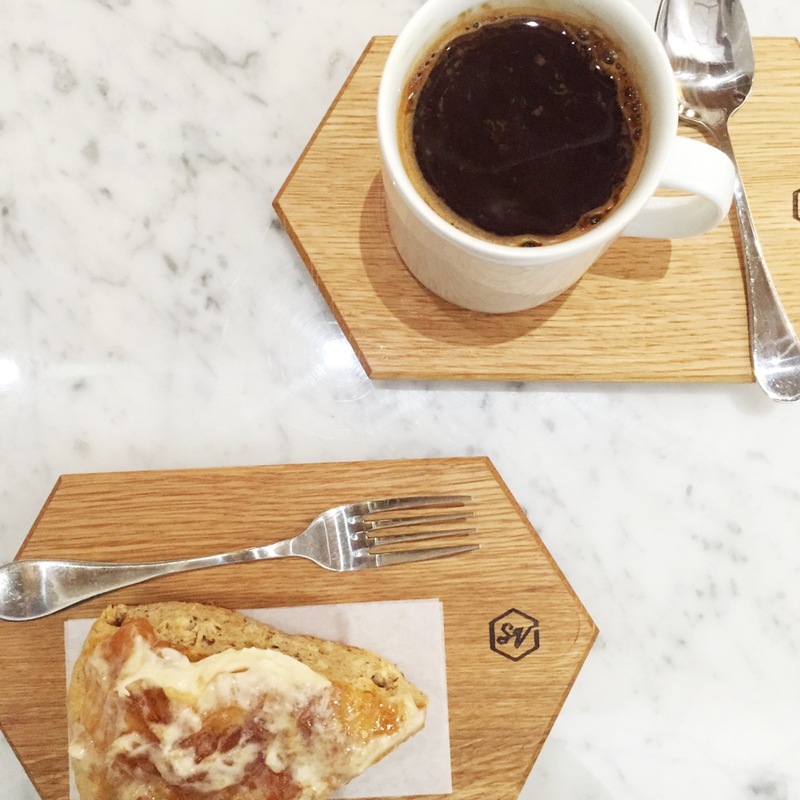 Small Victory Bakery – This new bakery is a welcome addition to Yaletown. I love the modern aesthetic with an extensive white marble bar and open kitchen. The smell of butter when you walk in is incredible. I had a warm, just out of the oven apple hazelnut scone smothered with clotted cream and pear and lemon marmalade from Le Meadow’s Pantry. They serve lattes and coffees with beans from Bows & Arrows Coffee. There just is something special about sitting down and being served that first cup of coffee and some yummy food. I can’t think of a better way to start off the day! Such a treat! 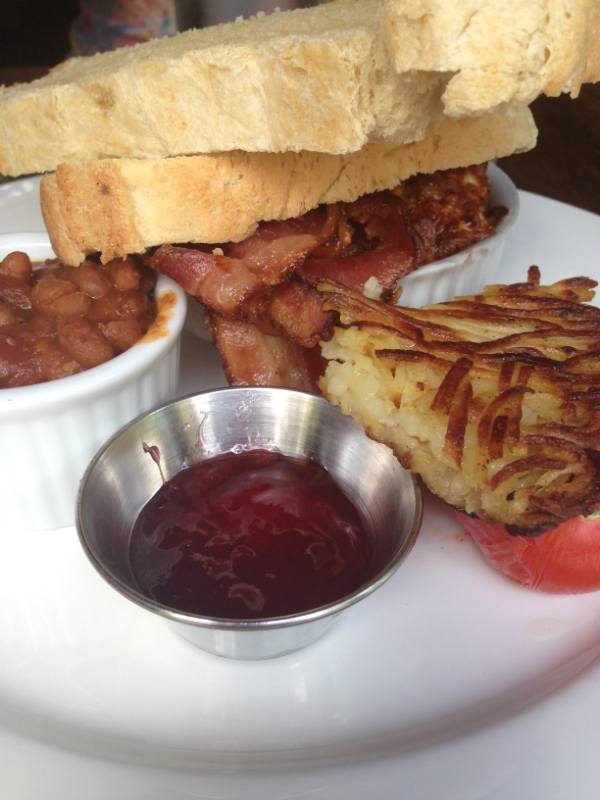 Do you have a Vancouver fave for breaky that I may have missed?? Please let me know…I’m sure to check it out!